No dog likes fleas or ticks and no owner wants them in their home. Both fleas and ticks can carry diseases for you and your pup. Along with the health risks they can bring, they also multiply quickly and are nearly impossible to eliminate once they are in your home or on your furry friend. So lets see how to find the best flea collar for dogs. 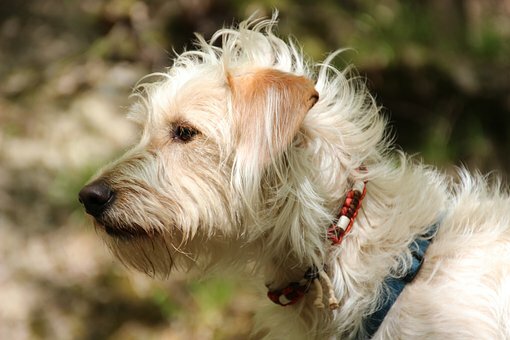 Flea collars are a safe and great way to keep those blood-sucking parasites off your dog and out of your home, and it’s important to choose the most effective collar for your pet. It is also very important to keep in mind that you get what you pay for. The cheapest is not always the best. You may be asking “How do the flea collars work?” There are two types of flea collars. One type of collar will emit a gas that is toxic to the fleas, and the other contains a medication that is absorbed into your dog’s skin and ingested by the parasites. The first type is good, but usually sends the fleas to the base of the dogs tail and there they will usually survive. The second is more effective and can prevent the fleas from infesting your dog and your abode.As the owner make sure to wash your hands after you handle the collar. It may be safe for dogs skin, but not human skin. Flea collars will last for months at a time. This relieves you, the owner, from applying daily or monthly medication for flea treatment or prevention. Be sure to replace the collar and use as directed. After a few months, the collar will lose its effectiveness and you and your pooch will end up with fleas again. What to check when buying? When considering a flea collar take into account for your dog’s size. A collar that is too big could over medicate your dog and send him/her got the vet. This could turn into a hefty vet bill or worse. Make sure you choose the right size for your pet. Whatever you do, do not use a flea collar meant for a dog on any other pet. Brands like Seresto has collars for pups of all sizes. Whether your pup is small like a Chihuahua or a majestic giant such as the Great Dane, Seresto has it. It’s important to select the right size because the medication is not meant to be ingested into the dog’s system. They should not be able to reach it to nip at it. Seresto is the longest lasting flea collar on the market and can last up to eight months. It kills, and prevents both fleas and ticks and has an “A” rating with four and a half stars. Should the collar be removed when bathing? There is no need to remove the color when bathing your dog when you choose this brand either. Seresto collars are sturdy and waterproof, and this makes giving your dog a bath easy. This gives owners a relief of not having to chase their pup to reapply the collar. Above all, always remember to talk to a professional first. Contact your vet and see if Seresto is right for your pup. Adam Conrad is a passionate writer and a proud dad of 5 Shih Tzu pups. He loves to write about dog grooming, best food for dogs and CDV (Canine Distemper Virus). His guides are aimed at pet parents to help them look after their pups. He writes for the blog The Shih Tzu Expert.